Finding the right teacher is the difference between your child thriving and loving the lessons, or losing interest completely. The best guitar teacher in town is wrong for your child if he or she is not experienced with children or doesn’t like to work with them. 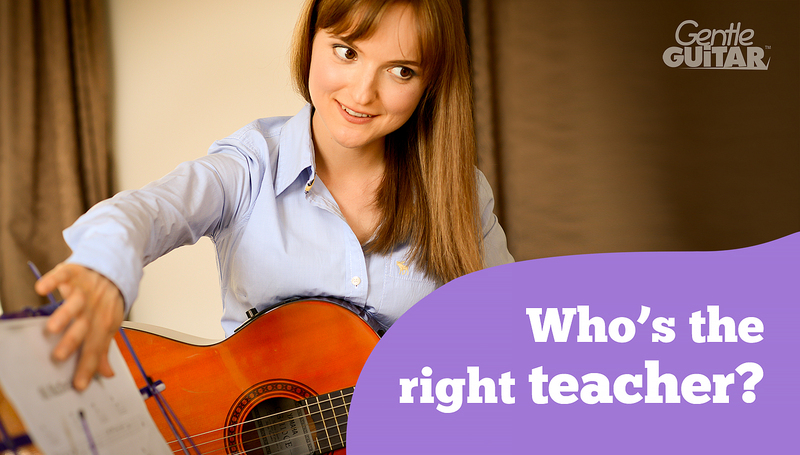 It’s easy to tell if a guitar teacher is right. There are sure signs. Personality: A good teacher is patient, especially with kids. Kids thrive around a kind and nurturing educator. Someone who easily shares positive emotions and encouragements and reads your child’s mood. Someone competent and gently authoritative to inspire your child to learn and progress. A mentor type. Experience teaching kids: The teacher should like kids and have experience working with kids. How will you know? Look for testimonials from other parents who are happy with the tuition. Find out what proportion of a teacher’s pupils are young — if it’s less than 10%, find another teacher. Teacher-Training: Kids learn differently to adults. Having appropriate teacher-training helps when working with young learners. The training doesn’t have to be formal. It can be a degree in pedagogy or an apprenticeship with a mentor. Asking the teacher “What kind of teacher-training have you received?” is not rude. It’s your right to know when entrusting your impressionable child to an influential stranger. Teaching materials: Age-appropriate teaching materials for kids are hard to come by. There are popular methods that claim to teach ages 5 through 12, but they’re not effective. Would you use the same reading book for a 5 year old and a 12 year old? I tried using the available methods when I was starting out 8 years ago. However, these popular methods failed me and they failed my young students, so I hand-designed my own method — the Gentle Guitar™ method. Ask your teacher: “What is your method for young children?” If the teacher shows you something that looks like it’s meant for adults or older kids, keep looking. These lessons won’t work for a 5 to 8 year old. When the lessons fail, the typical excuse given by most teachers is: “Your child is too young for formal tuition”. 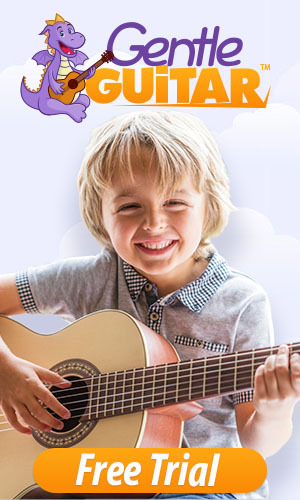 At Gentle Guitar™ we specialise in tuition for kids 5 to 12 year olds. 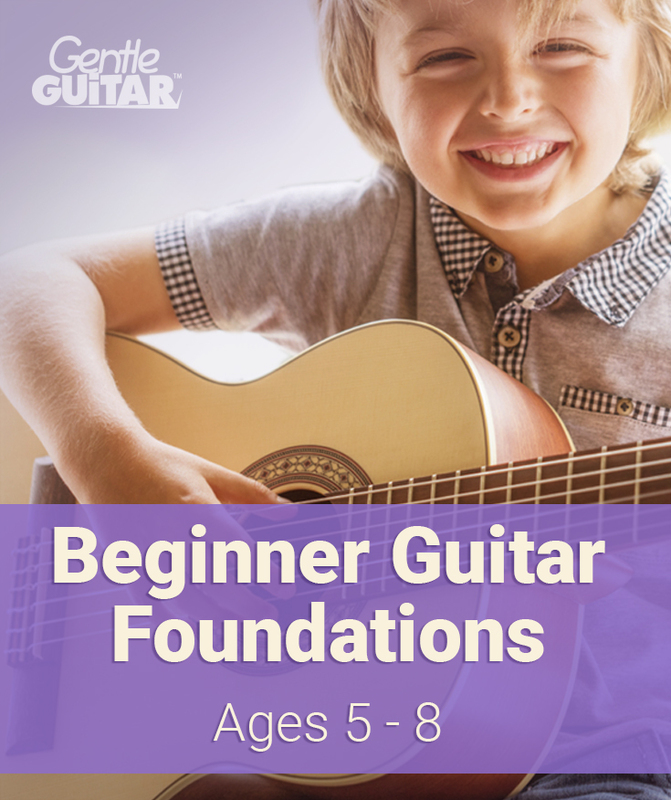 You can see by our testimonials and student showcase that 5½ is a great age to start learning guitar, provided that the teacher has age-appropriate training and materials. Parental Participation: An experienced teacher understands and explains the role YOU play in your child’s guitar tuition. 80% of learning happens at home, and only 20% at the lesson. The teacher’s role is to explain to you and your child what to do. It’s your job to help your child practice the assignments at home. Without practice there’s no progress. Without progress your child will quickly lose confidence and the desire to learn. Now that you know what to look for in a teacher, don’t enrol your young child into lessons that won’t work, just because the lessons are local or cheap! To make sure that your child enjoys music and has a positive experience, look for a teacher with the right attitude, relevant experience, appropriate training and effective teaching materials. Look for a teacher that will involve YOU in the process right from the start, and I guarantee that you and your child will see amazing progress! If you would like your child to learn guitar with a trained specialist teacher, book a free trial lesson now! Our teachers are trained to work with young kids and we have a wonderful program for kids ages 5 to 12. My daughter has been begging to take guitar lessons, and we are wanting to find the right teacher for her so that she will actually love doing them. I like how you pointed out that when it comes to this, that one way to find the right teacher is by looking to see if they have teacher-training. This will be really helpful to know so, like you said, we will know if they know the best way to work with kids and we are entrusting our child with an expert. I liked what you said about looking for someone who is patient. 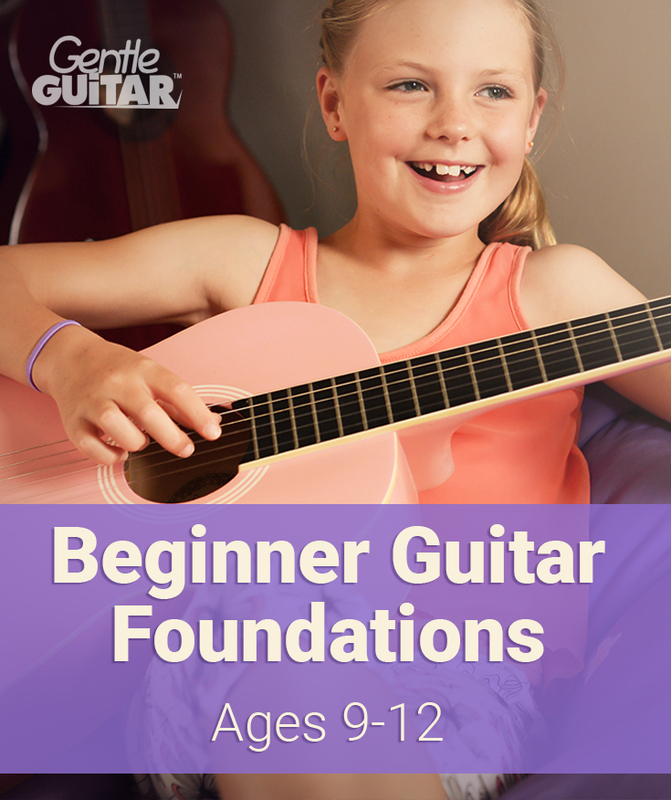 My daughter has been interested in learning how to play the guitar, and we really want to encourage that passion. I think that patience will be really important so that she continues to feel that desire to learn.